After our trip to YS falls, we proceeded to go further south on the island to the famous Black River. Which is famous for two specific reasons. The first reason is for it’s name and distinct color of the river. It has a very dark, gloomy, look to the water, similar to the Willamette River in Portland Oregon (if you’ve ever been here you would know how nasty and dirty it looks) but the water at the Black River is actually as clear as glass. Our tour guide demonstrated this to us by grabbing an empty water bottle and scooping up some water and it was as if he had just filled up the water from the drinking fountain. I wish I could explain why the water is so dark but all I can remember our tour guide telling us is that it has to do with the type of soil that is in the river. The soil is actually that color and gives the water that appearance. That is the best way I can explain it. 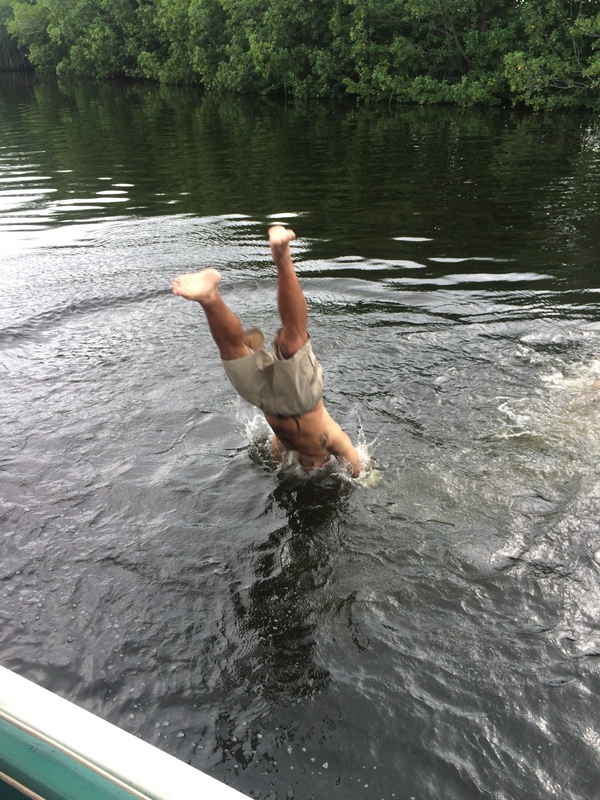 If you look closely to some of the videos I post of our group swimming in the river, you can see that the water is clear and you can see their bodies clearly through the water. The second reason this river is such a big attraction, is that it is home to the largest amount of crocodiles on Jamaica. There are an estimated 300-400 crocodiles that inhabit the Black River. If we had watched videos of crocodiles and their jumping abilities before we went to this river, I would not have step foot on the compound. From what our guide was telling us, they can lunge forward over 10 feet in a split second, they can also propel their entire bodies out of the water, that’s a hell of a jump. There were several times he had to remind us, that if they wanted too, they could jump onto the boat, but everything was erie because they normally don’t attack, unless provoked. Towards the end of the tour, our guide took us to an area where we were able to jump in. The whole time he was telling us about this swimming hole, we assumed that it was an area that was far away from crocodiles. Boy were we wrong!!! Shortly after he showed us an area where a specific crocodile lived, he took us about 20 meters to the left of his home and said, “This is where we can jump in!” We all looked at each other like he was crazy, and then he proceeded to climb on top of the boat and jump in. At the end of the river tour, we got to finish it by seeing the area where they kept baby crocs and ones that were injured in the wild. We all got a chance to hold a baby croc. 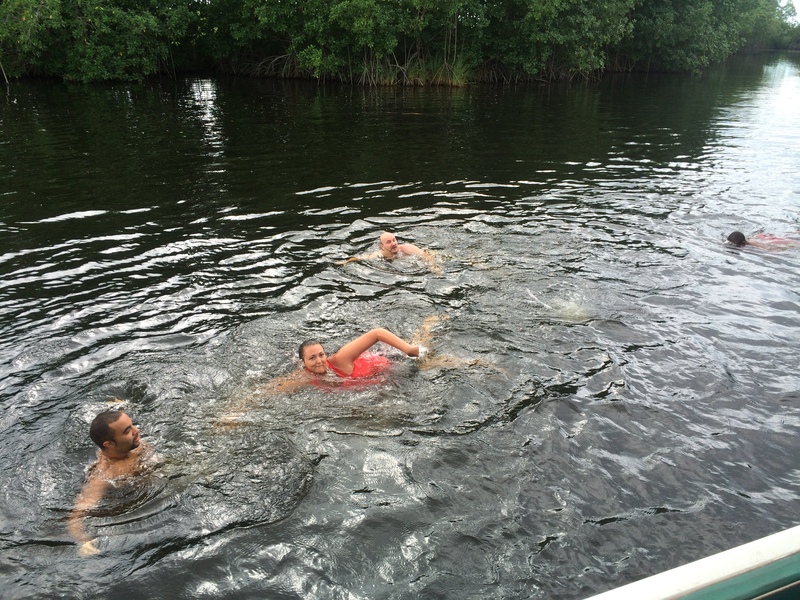 This was a very nerve-racking experience but not as scary as jumping into the open water with them. The black river is a must do if you are in Jamaica. Very educating, a little adrenaline rush here and there, and a very entertaining couple of hours! 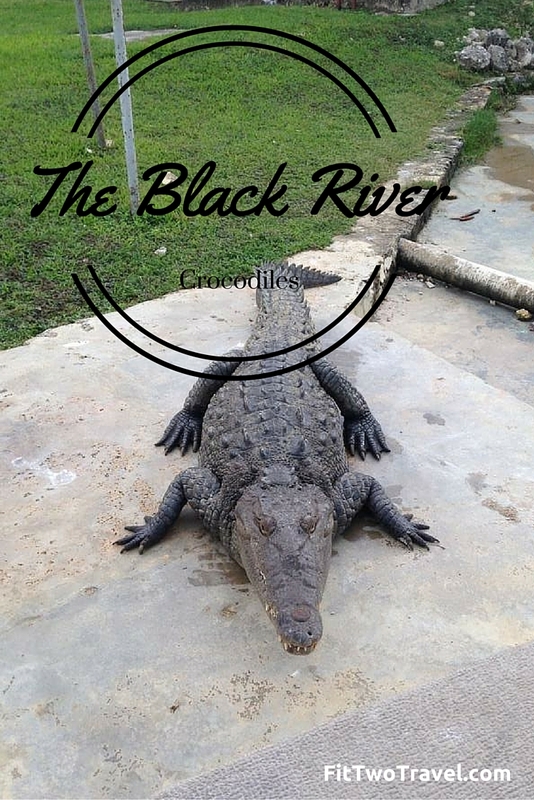 Have you ever visited a river full of crocodiles? Would you swim with them? Oh my gawsh! That’s crazy! But this is awesome! Love it!